Beauty Marketing | Tom Rants. 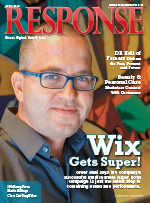 The April issue of Response went live online the day before Response Expo in San Diego last week, with the print version first finding readers’ hands during the successful 3-day event. At the show, our great attendees were greeted with the traditionally outstanding series of networking events, an intense and passionate keynote from entertainment and sports mogul Peter Guber, and two days worth of educational sessions featuring many of the faces and companies you’ve become familiar with in our pages and from these blog posts. This afternoon, as we regroup and recover from our busiest, yet most rewarding, week of the year, I took some time to glance back at how the April issue came together. 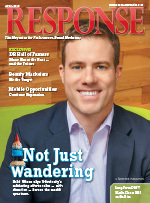 Response December: A Beauty, CE Tools and the Big Top 50! 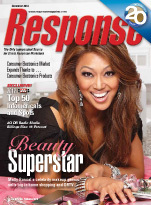 Mally Roncal shimmers on the cover of the December Response. The December issue of Response is now available online, and I’m happy to say we closed out the year with a strong book, hitting two key vertical markets — beauty and consumer electronics. Let’s take a look at some of the key pieces to the issue! Thanks again for reading and interacting with Response! Wishing you all a very happy holiday season, and all the best in 2013!